This was SJGR's first visit to this private home in Woodstown NJ. We were called in to substantiate reports of apparitions, physical and audio phenomena. During the course of the investigation, investigators had impressions of three spirits within the home: a little boy about 8 years old, a thin woman with brown hair she wore pulled back, and an older man, who seemed very protective of the home. All investigators agreed these spirits were shy and gentle and appeared more scared of us; we felt they did not want to be identified. 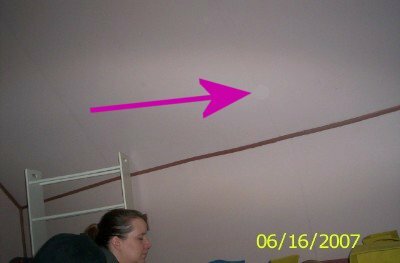 The physical evidence collected consisted of 3 EVPs and 31 positive photos with energy orb anomalies in them. 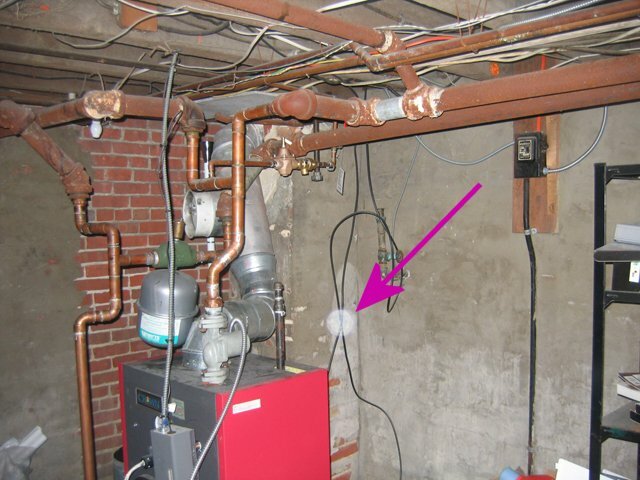 4% of positive photos obtained falls within the normal range for this location, but 67% of these were obtained in the attic in addition to all the EVPs. One anomalous EMF reading was obtained. However, no anomalous temperature readings or motion sensor readings were recorded during this investigation. 10:26pm - Investigator Dougherty took this photo while Investigator L. Perley conducted an EVP attempt in the attic. 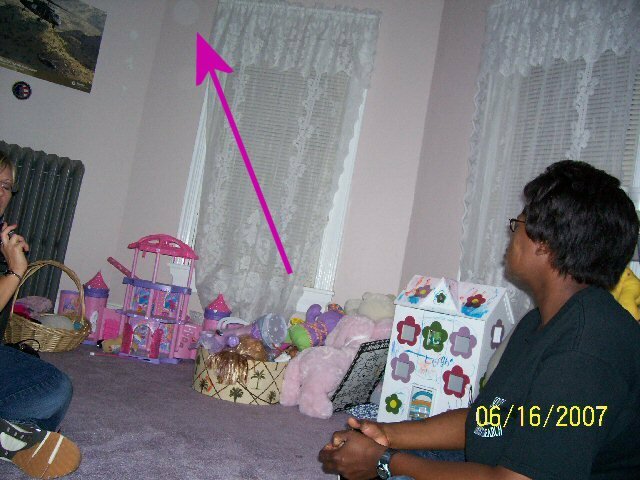 10:36pm - Investigator Carroll took this photo after seeing movement in the children's room. 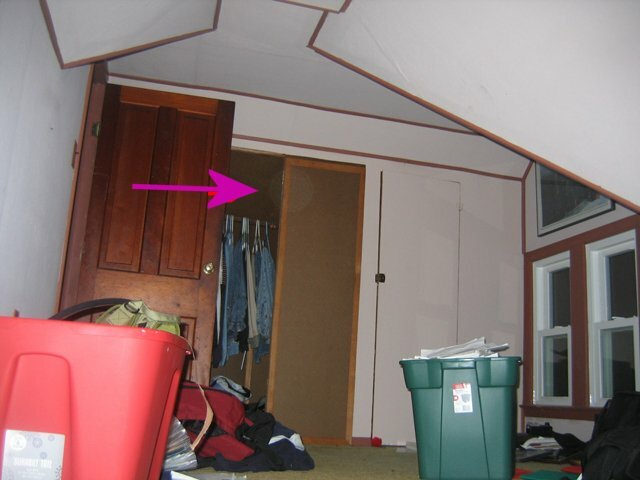 10:39pm – Investigator Griffiths took this photo shortly after feeling something touch her right calf in the attic. 11:10pm - Investigator L. Perley took this photo in the basement at random.